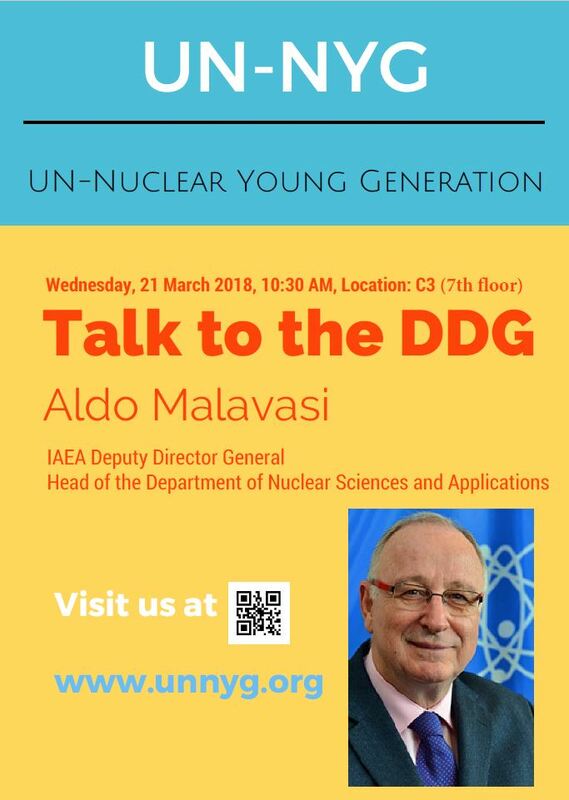 our next event "Talk to the DDG Aldo Malavasi" will take place on Thursday, 21 March 2018, at 10:30am in room C3 (C building, 7th Floor), at IAEA Headquarters in Vienna, Austria. It is an honor to have DDG Malavasi come speak to us and show his support, so we hope to see you there. 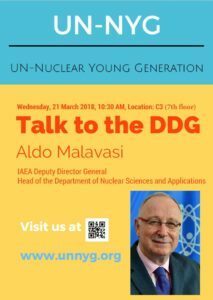 Please visit us on Twitter @UNNYG and use #Talk2DDG in your social media posts!